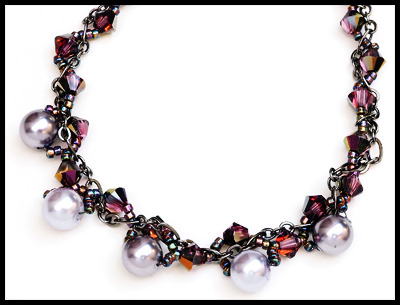 Embellish & embellish again "THE CHAIN" with many beads, pearls & crystals. Then add some more beads. This necklace is very elegant & sparkly that will go well with anything you wear. You'll have fun creating your own style as you pick & choose beads!